These three tips can help you handle any stress that heads your way due to college applications. It’s that time of year again--college application season. A time dreaded by most, anticipated by some, and mastered by none. 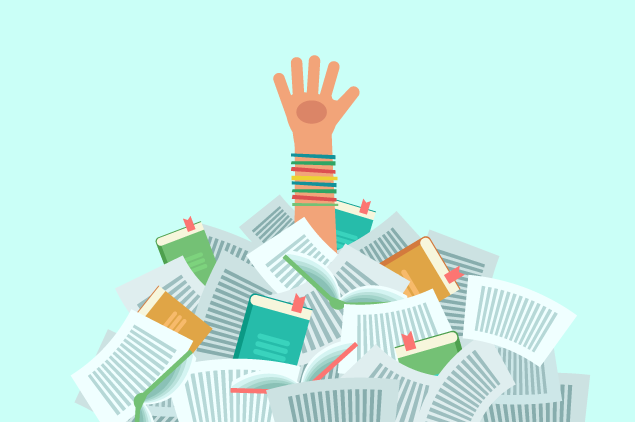 Students, parents, and counselors alike are swimming in an ocean of tips, tricks, and advice offered by millions of different sources, with no land in sight. This alone can generate high levels of stress for all parties involved, but students are the ones who have to endure the most. Luckily, there are plenty of things high school seniors can do to help mitigate stress when applying for college. Yes, staying organized, keeping deadlines in mind and talking to school counselors are all great pieces of advice. However, here are three additional things that really helped keep me afloat while I was going through the application process last fall. It is very important that you try and avoid comparing yourself to your peers during the entire process of applying and hearing back from colleges. Students build up too much stress worrying about how they compare to others in their class or of the university they hope to attend. Some of your peers may be ahead and have all of their applications finished and sent out - that doesn’t mean you must rush to send yours in months before the deadline. Similarly, some of your peers may be hearing back from colleges sooner than others, and that’s okay! It doesn’t mean there is anything wrong with you or your application. You cannot and should not compare yourself, your accomplishments, your experiences, your grades, your standardized test scores, or your financial situation to others. Everyone is moving at their own pace, everyone is applying to very different schools, and everyone is finding themselves in a different situation. Trust that the admissions officers will take each of your unique situations into consideration when making a decision, and that the outcome will be different for everybody. I know that a very popular piece of advice given during this time of year is to distract yourself from thinking about college and instead focusing on other things. I found that this didn’t help me personally, because instead of getting things done I would be trying too hard not to think about applications, essays, admissions rates, and campus visits. I should have been talking about my problems instead of avoiding them. Talking about what worries you to someone you trust is a wonderful way to reduce stress. Getting things off of your chest and sharing them with someone who cares about you will make you feel so much better about continuing the college application process than if you were to keep it all inside. Tell your parents or friends about it if you are feeling stressed due to college. They will likely have good advice to give, and if you are speaking to friends that are also going through the application process, they could offer to help you with anything you need.